It’s no surprise that acting work abounds near Los Angeles and New York. However, you might be surprised to learn there are a ton of opportunities for actors around the rest of the U.S., too! And you often don’t even have to go anywhere for the first round of auditions — you can just submit online. Here are seven online and open casting calls in cities around the country — including being a paid extra for “House of Cards”! You should be available for taping between Oct. 7-21, with a flexible schedule for work throughout the season. They’re casting men and women in their 20s to 60s. You should be in shape with an athletic build, clean hair cut and minimal facial hair. Background roles are part of the police team. Pay is $84 for eight-hour days, plus $25 for a wardrobe fitting. Your submission will need to include photos of yourself, any visible tattoos and your vehicle. See the listing for contact information and other details to include in your email submission. Performers of all ethnic and racial backgrounds are encouraged to apply. Festival contracts run May 19 to Aug. 3, 2017, in Kilgore, Texas. Pay is a $3,500 stipend every two weeks for actors and $1,250 every two weeks for interns. You would also get dorm housing and meals, and actors receive a travel reimbursement of $350. The Festival is also casting six 21- to 40-year-old men and women to tour around east Texas with reduced productions of “Romeo and Juliet” and “Shakespeare’s Greatest Hits.” This contract is January 8-March 6 and it pays $300 a week, plus housing and some meals. Visit TexasShakespeare.com for submission requirements and the audition form. You’ll need a headshot, resume and two audition pieces, plus a song if your role requires it. Mingo Studio 72 is casting several speaking roles in an untitled web series. The call is for various ethnicities, 18 years of age or older. The gig is listed as paid, but compensation isn’t specified. Shooting dates will be determined, but should happen in 2016. You don’t have to have formal training or professional experience, but you should be able to memorize lines and — of course — act. See the listing for full details and contact information. A Connecticut student is casting two actors for a thesis film. The listing seeks one woman, aged 30-50; and one man, aged 30-60, both for speaking parts. You’ll get meals and have your expenses paid, but no day rate is listed. See the listing for contact information to submit your entry via email. Upcoming TV show “The Fix” is casting 30 roles, including main characters Aaron Parker (a 25-year-old TV executive) and Tim Herman, a rising comedian in his late 20s. Roles are open for men and women of all ages, as well as ethnic and racial backgrounds. Though no pay is listed, this job is SAG-AFTRA-eligible, which means it adheres to a minimum wage (or scale pay). You must submit your audition tape by Oct. 20. Submit online through Explore Talent. Halloween Express, a family-friendly event featuring a pre-boarding party and a 60-minute train ride for the holiday, is casting local actors near Burlington, Vermont. You’d don costumes of favorite children’s characters, like Disney princesses, Superman and the Cat in the Hat. You’ll perform and interact with 2,500 kids and families at the pre-boarding party. Your costume will be provided, and you’ll train during the first hour of your shift. Choose from 7 a.m. to 2 p.m. and/or 1 p.m. to 8 p.m. on Saturday, Oct. 29, and/or Sunday, Oct. 30. Pay is $75 for your first shift and $100 for each additional shift if you sign up for more than one. 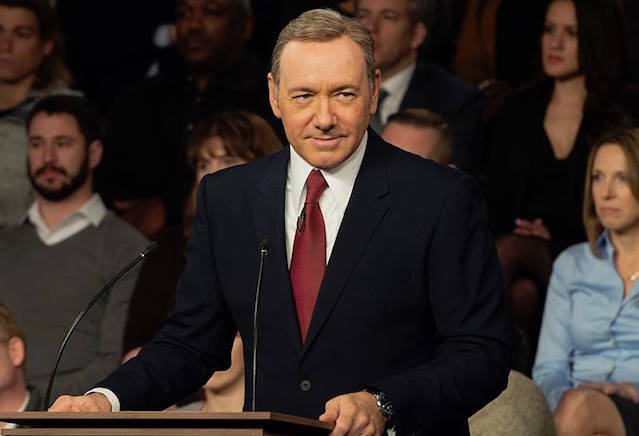 Want to get your face in the frame behind Frank Underwood? The hit Netflix series “House of Cards” is casting men and women for paid background work in Joppa, Maryland, this week, October 6-7, and next, October 10-14. Each role requires you to submit different information, including photos, via email. See the listing for details and contact information. Your Turn: Do you know of any exciting open casting calls this week?